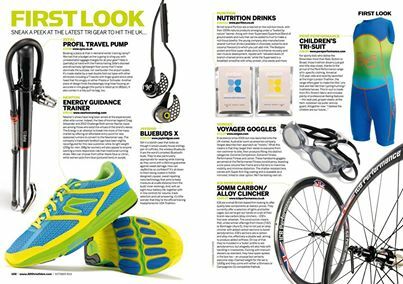 How true the review ….. 220 triathlon magazine impressed with the quality and look of our amazing Tri suit. I believe the children are our future …..
indeed they are, and at Pere we aim to kit our athletes of the future in the best clothing for the sport they take part in. We have sepcifically ensured that the professional features from adults premium tri suits have been included on our range of kids performance wear. These professional features have also been considered and included in our range of cycle specific wear. looking forward to next racing season .